We looked at the top 4 Hearing Amplifier and dug through the reviews from 58 of the most popular review sites including The Consumer Guide, Basshead Speakers, Best Health N Care, Listamazing, BestReviews, Hearing Aid Buyer Today and more. The result is a ranking of the best Hearing Amplifier. Our experts reviewed the top 4 Hearing Amplifier and also dug through the reviews from 58 of the most popular review sites including The Consumer Guide, Basshead Speakers, Best Health N Care, Listamazing, BestReviews, Hearing Aid Buyer Today and more. The result is a ranking of the best of the best Hearing Amplifier. Doctors and audiologists helped design the LifeEar Empower Hearing Amplifier, which aims to be a lower-cost, high-quality alternative to hearing aids. The 12-band processing built into this hearing amplifier amplifies human speech to make sure you're catching everything people are saying. You'll also get an ergonomic design that ensures the amplifier remains comfortable during use. DWYM Beauty and Personal Care Experts plus BestReviews, New York Mag, Top Best 10 Reviews, Best 10 Choices, The Z8, Improved Sound and 1 more. Along with user reviews from Amazon.
" Fits well in the ear and delivers good sound at lower volumes." "While not cheap, it is a small price to pay for being able to understand conversation again." Noise reduction makes the Otofonix Elite Mini Hearing Amplifier stand out. It ensures you hear exactly what you want to hear without having to deal with uncomfortable sounds. Built-in volume control makes it easy to adjust the volume using only one finger. Its lightweight design also keeps it comfortable on your ear for hours. DWYM Beauty and Personal Care Experts plus BestReviews, Hearing Aid Buyer Today, The Z8, Listamazing, Top Best 10 Reviews, Paramatan and 3 more. Along with user reviews from Amazon and Walmart.
" Unit is small, comfortable, and easy to set up/use." "However, a few people said that the ear they were wearing it in itched." The Clearon Rechargable Hearing Amplifier's design makes it usable on either your left or right ear. This FDA-approved device has an affordable price, making it a great choice for those who want to try hearing amplification. The rechargeable battery also means you won't have to waste time chasing down special batteries. DWYM Beauty and Personal Care Experts plus The Consumer Guide, Basshead Speakers, Best Health N Care, Listamazing and 1 more. Along with user reviews from Amazon.
" This unit has a long-lasting rechargeable battery that can last for up to 40 hours of continuous usage." "Slightly complicated and harder to engage"
You'll get four different volume modes with the Britzgo Digital Hearing Amplifier: high, low, mid and wide. This lets you customize the device to the level that's most comfortable for you. The design is not only lightweight, but also small, making it easy to tuck out of sight. DWYM Beauty and Personal Care Experts plus BestReviews, Game Camera World, Best Hearing Health, Improved Sound, Hearing Amplifiers Hub, Hearing Aid Buyer Today and 2 more. Along with user reviews from Amazon and Walmart.
" A great price, especially considering the 500-hr." "Buttons come in small pieces that could be difficult to see and press, especially for those with poor vision or bigger fingers." We identified the majority of the hearing amplifier available to purchase. 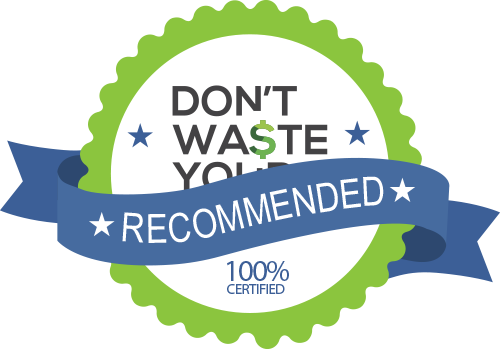 Reviews from our DWYM category experts and analysis of some of the most respected sources including: The Consumer Guide, Basshead Speakers, Best Health N Care, Listamazing, BestReviews. The amplifier is very comfortable when wearing it. Fits well in the ear and delivers good sound at lower volumes. Not only did they work perfectly, with the emphasis on speech hearing and understanding, they also are quite good in restaurants with a lot of background noise, and even at home watching TV. The amplifier is very ergonomic and with the improved 12-band processing, it will greatly boost your hearing experience. This is a device designed by audiologists and doctors to give you the best results at a lower cost compared to hearing aids. The state-of-the-art technology assures you of digital sound and boasts of similar technology and design found in the expensive prescription-based hearing aids. The first thing that got our attention was clearly the 12-band processing, which isn’t something you find on all hearing devices today. Unit can produce harsh sound and squealing at the highest volumes. While not cheap, it is a small price to pay for being able to understand conversation again. For others, you may experience a lot of static noise. One thing we didn’t like, however, is that the left and right ear devices have to be purchased separately or as a package that has no discount. For the Hearing Amplifier category, we analyzed 58 of the most popular reviews including reviews from The Consumer Guide, Basshead Speakers, Best Health N Care, Listamazing, BestReviews, Hearing Aid Buyer Today and more. The result is a ranking of the best Hearing Amplifier.